After the comprehensive win for the ‘NO’ campaign in the Greek referendum, negotiations reopened between the Greek government and the institutions. One notable difference this time around was the distancing of the IMF from the process, as Greece has technically already defaulted on their IMF debt. Despite a ‘NO’ vote being sold in Greece as strengthening their hand in negotiations, the people negotiating on behalf of the institutions were not buying this line. What quickly became clear was that even if Greece completely capitulated and accepted the terms of the reform package offered pre-referendum, that would no longer be enough for a deal. The most commonly cited reason for the hardened stance was that the institutions no longer trusted the Greek government to undertake the reforms it was signing up to. During the week, it began to look increasingly likely that no deal would be made. At one point, every country in the shared currency zone except France and Cyprus was pushing for a Greek exit ahead of the final discussion to take place on Sunday night. After marathon negotiations, on Monday morning (13 July 2015), it appeared a deal had been reached. This deal is more or less the reform package demanded before the election (raising the pension age, raising the rate of VAT and other changes), but with one key addition. Greece will now be forced to place 50 billion euros worth of state owned assets into a fund. The fund will be managed by KfW, a German government owned development bank where German Finance Minister Wolfgang Schäuble is Chairman of the Board. Despite the apparent conflicts of interest, this setup is designed to allow the creditors to sell off those assets to pay off debt. The deal has been been met with dismay by most people in Greece (and many observers). Immediately after the deal was announced, the number one trending hashtag worldwide was #ThisIsACoup. The final hurdle at this stage is Greek Prime Minister Alexis Tsipras passing the needed reforms through the Greek parliament. Many members of his own party have already vowed to vote against the reforms. However, it is expected that with assistance from the other major parties, passage should be possible. New elections are expected after the complete capitulation by Tsipras. Despite the apparent failure, many Greeks are behind their government, arguing that they at least made an honest attempt to improve the situation. However, once the new austerity measures are passed, the harsh reality is sure to hurt Syriza’s popularity. The tragedy of the situation is that it was a thinly veiled intention of European leaders to remove Syriza from power by humiliating the Greek people, and they look likely to succeed. This insight into Schäuble’s thinking reveals the core issue at the heart of the shared currency zone – Germany’s economic dominance. The Euro is essentially the new Deutschmark and this has a lot of side effects. Southern European nations benefit from being able to borrow at cheaper rates than they have historically, allowing governments to upgrade infrastructure and provide a stronger social safety net for their people. As it has turned out though, they also spent a lot of borrowed money on things that made them less competitive economically, such as large public sector salaries and very generous pension schemes. Germany on the other hand benefits from having the Euro weighed down by those nations, making German exports extremely competitive internationally. It also benefits from the increased wealth of those southern European nations (even though it turned out to be mostly debt financed) who could spend more money on artificially cheap German exports. Germany agrees to permanent and ongoing wealth transfers to the less efficient European nations in the same way richer states in the US subsidize poorer ones. Germany forces the rest of Europe to become more like Germany. It is obvious which option appeals more to German politicians – convincing Germans to hand over their taxes to what they largely see as their lazy, poorly run neighbors is basically a non-starter. Option 2 is more or less what has been happening and the results are clear – it caused huge economic disruption in those countries, particularly as the reforms were implemented during times of economic turmoil. But there is a fundamental question of democracy at play here. Obviously Greece (and to a lesser extent the rest of southern Europe) was not doing a particularly good job of managing its own economy. The question is are we OK with a world where unelected figures can force economic reforms on a country – even if they are beneficial in the long run – directly against the will of the people? The latest polling on the referendum is showing that it is too close to call. Both sides are polling approximately 43% with about 14% of Greeks undecided as to which way they will vote. The Greek finance minister Yanis Varoufakis has declared that he would rather cut his arm off than accept a further bailout. Varoufakis confirmed Syriza would agree to the conditions of the bailout, should the ‘Yes’ campaign prevail, but also pledged to step down if this occurred. The IMF on Thursday released a review of Greece’s debt, which many in the ‘No’ campaign are taking as a big win, given that the report includes an admission that Greece’s current debt is unsustainable. The report also revealed the ongoing disagreement between the IMF and Brussels regarding the best way forward for Greece. In apparent confirmation of the damage these revelations could cause, Eurozone countries are reported to have attempted to halt the release of the document before the referendum. The European Central Bank (ECB) has not cut off emergency funding to banks in Greece as it was feared it might, but has decided against raising the amount of funding it will provide. The main story here is the banking sector in Greece avoids an immediate collapse and Greece will be able to survive until the referendum this weekend. But, by not raising the amount of funding, they have put Greek banks in a position where, if they ran in business-as-usual mode, they would not be able to keep up with the demand for Euro’s and would run out of cash. As a result, the Greek government has imposed capital controls and declared a bank holiday for this week. Banks will not open (with an exception for pensioners on Thursday) and people will only be able to take out 60 euros a day from ATMs. This is to ensure banks in Greece can stay viable until the referendum. In terms of the referendum, the expected result is unclear at this point. The latest polling is showing the ‘No’ (OXI) vote is ahead with 55% planning to vote ‘No’ to accepting the bailout under the current conditions, with only 33% planning to vote ‘Yes’ (NAI). But the gap has been closing as the situation has deteriorated. This picture contrasts with betting markets (yep, you can pretty much bet on anything) currently indicating a 66% chance of a ‘Yes’ vote. In the meantime, the Greek Prime Minister Alexis Tsipras has been campaigning strongly for a ‘No’ vote in the referendum. Tsipras is not out there on his own though. Two Nobel Laureates in Economics in Paul Krugman and Joseph Stiglitz have expressed their support for Syria’s decision and a ‘No’ vote, also adding a good helping of criticism for the role the creditors have played in getting to this point. However, in the meantime Syriza have still been attempting to continue negotiations with the creditors and yesterday (Wednesday) made further concessions in order to try to secure a deal. The concessions made were agreeing to certain cuts to pensions (despite what you might have heard, the creditors are demanding further cuts) but on a delayed schedule, and agreeing to most of the VAT increases but maintaining an exemption for the islands. It should be noted that any deal reached at this point would not cancel the referendum, but would cause Syriza to reverse their current course and start campaigning for a ‘Yes’ vote. The creditors have basically slammed the door on further negotiations though, indicating that no further negotiations are possible before the referendum. This move is widely perceived as Europe calling Syriza’s bluff, but there is probably more to it than that. There have been further claims that no new deal is possible at all while Syriza remains in power. Indications are that regardless of the outcome of the referendum, the Eurozone will continue attempts to force new elections in Greece. Of course, this overlooks the fact that the only reason a marginal party like Syriza got into power in the first place was due to the extreme austerity forced upon Greece, but whatever. For outside observers, no matter what you think about who is to blame for this crisis, the completely undisguised attempts by Europe to destroy a democratically elected government because they don’t like their politics should make you very angry. 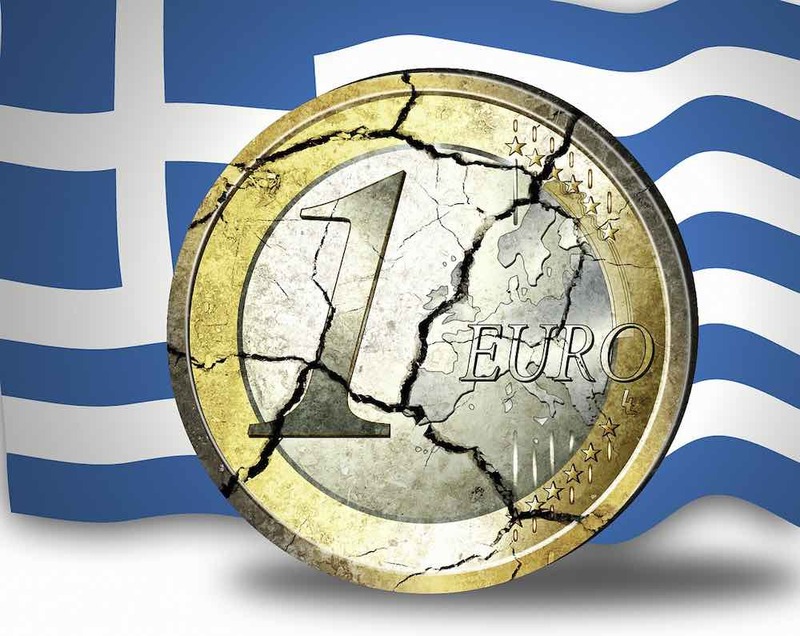 Finally, based on the reaction from bond and equity markets this week, the financial contagion from a collapse in the Greek economy would appear to be limited. That said, the political contagion could live on for a long time. The behavior (see point above) of the institutions (and the people heading them) that are supposed to be run for the benefit of all Europeans has revealed how politicized they have become. Even in the scenario where Greece somehow stays in the Eurozone, significant damage has been done to the European project and to the goodwill that existed for it. If you haven’t already, I highly recommend reading Alexis Andreou’s fantastic insight into how a lot of young Europeans are likely to be feeling. The situation is changing fairly rapidly at the moment, so I will continue to add updates here as things change.